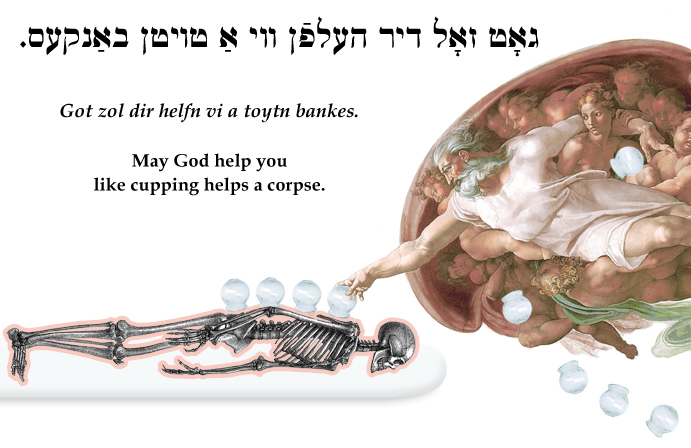 Yiddish Curse: May God help you like cupping helps a corpse. ‎גאָט זאָל דיר העלפֿן ווי אַ טויטן באַנקעס. Got zol dir helfn vi a toytn bankes. May God help you like cupping helps a corpse.